Steadicam ULTRA 2 for sale : The Ultra 2 is an all encompassing system that is user-friendly and versatile. It’s designed to make the user’s operating more precise and hassle free. Have been very impressed with this system over the years and will be sad to see it go. The Vest is in good condition. It’s light and unobtrusive and works well with the body. It comes with its own vest bag and a thermodynamic case for easy transport. The UltraBRITE2 monitor displays HDSDI, HD component and composite video. - every format you need, directly. It’s very bright 8.4” monitor @1400 nits – perfect for daylight viewing. Anti-reflective coatings won’t burn out your eyeballs if you happen to catch a reflection from the sun or a big light.The Ultra2 monitor mount is strong, easy to flip for low mode, and boasts a wider range of positions, both vertically and horizontally. The revolutionary G-70 arm is light, strong, and it can lift 13 to 70 pounds. The boom range exceeds any other arm out there – 32”. The G-70 arm is by far the smoothest, most responsive arm I’ve ever owned. You can feel how the arm behaves, regardless of the weight carried. With the “Geo” feature, you can tune your arm to your preferences for each shot. Even the arm post system incorporates an adjustable drag that does not change when you change posts. Really can not fault it. The Arm comes with its own Arm bag to protect it while out of the case and is in good condition. This is a slimmed down kit containing: Case1 Ultra 2 Sled UltraBRITE2 monitor Case 2 G-70 arm + arm bag Vest + vest bag Upon inquiry we can supply case weights as well as additional detailed photos as requested. Our Purchase price is (USD) $28,000.00. We are happy to ship world wide at purchasers expense. These costs will be worked out depending on buyers location. All listings are sold as is, where is. 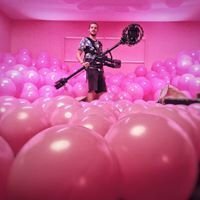 Happy to answer any questions and provide any more detailed information or photos This listing is also listed elsewhere ​Equipment listed in New Zealand. Steadicam Masters Series - Complete Rig This full kit contains everything you require to fly full sized packages. Would be a perfect beginner rig for someone stepping up into an operator role or moving to becoming more established in the industry. The Sled is in good condition with only cosmetic wear and tear. It has been well looked after for its age. The post has been retro fitted with HDSDI and the monitor has been replaced with a new Panasonic high-performance, portable 9-inch LCD monitor. With its new IPS LCD panel boasts best-in-class 1280 x 768 WXGA pixel resolution. The LH910 utilized on the sled (duel rail system monitor mount) is perfect for field or studio work with 176 degree vertical and horizontal viewing angles, the widest offered by any LCD display, the LH910 delivers exceptional imagery and superb color accuracy, and professional interfaces including HDMI and 3G-SDI. For Full information on the Panasonic LH910 monitor please view the following link - https://na.panasonic.com/ns/22722_BT-LH910G_Brochure__PDF_-_.pdf The Sled has been upgraded to the Anton Bauer gold mount system and comes with 4 Anton Bauer Dionic 160batteries. Dionic 160 weighs 30% less than a HyTRON 120, has 30% more capacity. Comes with quad charger. The Real Time readout provides an estimate of remaining run-time based on the current power draw. We have made our own Lower Sled Weight system. (view photos attached) The Tiffen Mastersseries iso-elastic arm. Completely rebuilt by Tiffen. Feels like new. Provides even lift throughout larger range of lifting strength and position. The Master Series Vest is still in very good condition and has been continually well washed and spare vest clips should they ever be required. Lightweight - Adjustable in all dimensions. Light weight but strong and solid. Stands for vibrationless tracking shots. Hi, I sell my first rig when I started. It's a very good one for the small configurations. the list of the package : - telescopic sled (upgrading HD) - arm with 6 canisters (5 to 13 Kg) - back mount vest - monitor - camera cables - tools - docking bracket + stand - flight case It's in very good condition and was never in rental. Maybe it's possible to add two V-lock batteries + charger in the package Price: € 3.500 + Tax + Shipping (will sell worldwide, but Europe is easier of course as this equipment is based in France - Paris). Please let me know if you need more informations and/or photos and/or details. here is my contact : hello@staedup.fr best regards N.
Steadicam Broadcast master Sled, Vest, Arm, Stand for sale in good working condition with green widescreen monitor and HD to SD converter. All in original casings. Complete £8,000. So I got a crazy good deal on Flyer rig used... Huzzah! The only problem is the entire thing smells overwhelmingly of cigarette smoke! I'm trying every old wives trick in the book so if anyone finds this remotely interesting (or entertaining!) I can post about my methods if it works out. However, per my inital question, IF all of my efforts and spells and incantations fail- could I purchase a new Scout Vest, (probably a compact vest because I am a smaller framed girl anyway) and would the new vest be compatible with the rest of flyer rig? Thanks in advance! PS- if anyone out there is/was a smoker and has had this problem, it would be lovely to add some new ingedients to my list of possible concoctions!